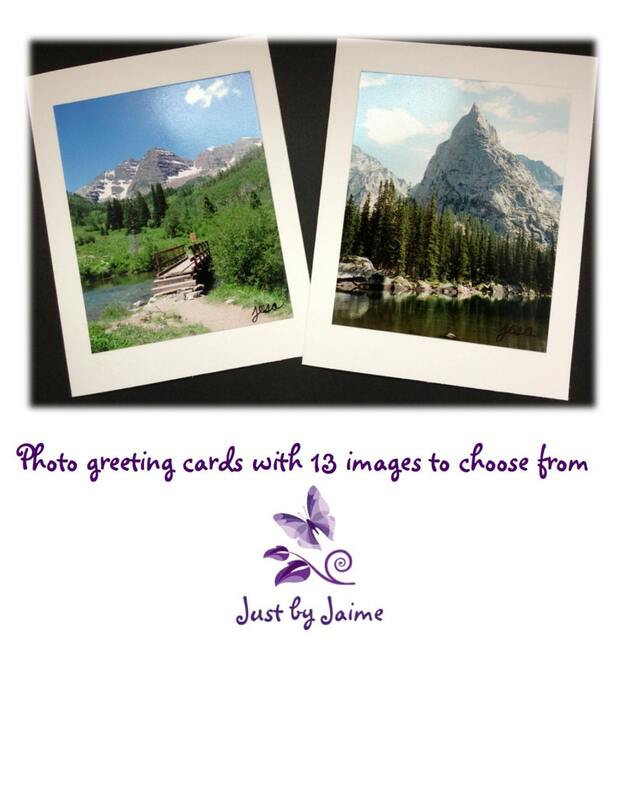 These 5 x 6.5 inch photo greeting cards are great for your personal or business use or as gifts. Each card has a professionally printed matte finish photo on the front and is blank inside. The back of each card has the name of the image. Each card comes with a white envelope. You may get the same image on all of your cards or have a mix of images. Please select "Mix of images" under the image menu and then list the photos you want in the comment box at checkout if you would like that option. Please look at all of the images for this listing to see the image options. If you don't specify the image, then I will pick the images for you. The Just by Jaime watermark will NOT appear on your item. If you would like to order sets of 12, 16, or 20 of these cards, please visit www.etsy.com/listing/168971587/handmade-greeting-cards-with. If you are interested in having the photographs printed on items (like mugs, coasters, etc.) rather than cards, please contact me about how to go about doing so. If you are interested in ordering a large quantity of cards for your home or business, please contact me about those options.